Support provided by corporations and businesses allows for the development and implementation of SCORE programs, projects and resources. These alliance partnerships make it possible for millions of entrepreneurs and small business owners to receive an outstanding array of resource tools, education and workshops. For more information on the opportunity to become a Sponsor, please contact Kenneth Yancey, CEO, at kenneth.yancey@score.org. AT&T Business Circle is a community where Small Business Owners can share stories and glean information to better understand how technology can address key business challenges, so they can trust in the solution and focus on what matters most of all: running their business. Through rich content, connections with other small businesses and recommended solutions, Business Circle aims to provide technology resources, useful advice, and personal connections to help small businesses thrive. More from AT&T. Personal tax preparation and small business services delivered year-round personalized to your needs. More from Block Advisors. Canon U.S.A., Inc., is a leading provider of consumer, business-to-business, and industrial digital imaging solutions. With approximately $36 billion in global revenue, its parent company, Canon Inc., is one of Fortune Magazine's World’s Most Admired Companies in 2014. Canon U.S.A. is committed to the highest level of customer satisfaction and loyalty, providing 100 percent U.S.-based consumer service and support for all of the products it distributes. Learn more at usa.canon.com. More from Canon. 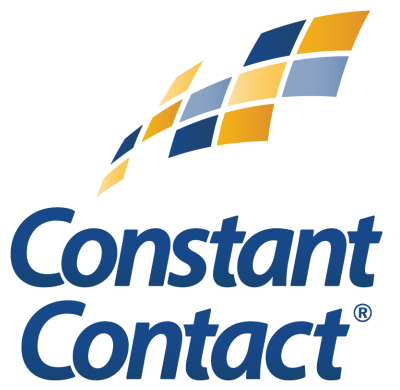 Constant Contact, an Endurance International Group company and a leader in email marketing since 1995, provides hundreds of thousands of small businesses around the world with the online marketing tools, resources, and personalized coaching they need to grow their business. More from Constant Contact. CoverWallet provides a concierge-like service that is reinventing how small businesses deal with commercial insurance. We’re combining data, design and technology to simplify the complexities of insurance, and provide a digital solution to fundamentally change how business owners understand, buy and manage policies. More from CoverWallet. For more than 100 years, Deluxe Corporation has sought to create the tools that help shape our economy. Since 1915, Deluxe has recognized the vital role that small business plays in our communities, from job creation to business development. For these reasons, the Deluxe Corporation Foundation provides financial support to nonprofits that help entrepreneurs and small business owners succeed. Our grants to SCORE have totaled more than $1.5M in recent years, with the majority of these funds supporting the creation and updates of online training and certification for SCORE mentors. More from Deluxe. Easelly is a simple infographic tool with 3 million users (& counting!) worldwide. They also do custom infographics for small businesses and startups with lightning-fast turnaround times. More from Easelly. The FedEx Small Business Grant Contest offers significant opportunity for small businesses across the United States to share their inspirational stories and achieve national recognition while simultaneously rallying support from local communities to grow their businesses. More from FedEx. Google is a global technology leader focused on improving the ways people connect with information. Google’s innovations in web search and advertising have made its website a top Internet property and its brand one of the most recognized in the world. More content from Google. Intuit, Inc. is a leading provider of business and financial management solutions for small and mid-sized businesses, consumers and accounting professionals. Its flagship products and services, including QuickBooks®, Quicken® and TurboTax® software, simplify small business management and payroll processing, personal finance, and tax preparation and filing. More content from Intuit. Kabbage is an online lender based out of Atlanta, GA that offers borrowers lines of credit up to $100,000. Kabbage looks at real-time business data to provide funding within minutes. Since its start, the company has lent over $2 billion to over 80,000 small businesses throughout various industries. More content from Kabbage. Headquartered in New Hyde Park, N.Y., Kimco Realty Corporation is a premier owner and operator of open-air shopping centers. The company owns interests in more than 400 U.S. shopping centers comprising over 70 million square feet of leasable space primarily concentrated in the top major metropolitan markets. Publicly traded on the NYSE since 1991, and included in the S&P 500 Index, the company has specialized in shopping center acquisitions, development and management for more than 60 years. More from Kimco Realty. More than 140 million people file taxes in the U.S. each year, and more than half use a professional tax preparer. These consumers are served each year at Liberty Tax locations across the country – and our numbers are growing. Opening a tax franchise doesn’t require tax expertise. Liberty’s proven system provides the tools and makes the tax business a great business opportunity. Since 1997, Liberty Tax has grown to more than 4,300 offices in the United States and Canada. Find out more about the Liberty Tax opportunity at LibertyTaxFranchise.com. More from Liberty Tax. Founded in 1851, MassMutual is a leading mutual life insurance company that is run for the benefit of its members and participating policyholders. MassMutual provides products to help meet the financial needs of clients, such as life insurance, disability income insurance, long term care insurance, retirement/401(k) plan services, and annuities. More from MassMutual. Master Your Card: Electrifying Business Growth provides business owners with the education and resources they need to accept electronic payments and expand their small businesses—giving them the technology to master time, money and growth. Taking advantage of card technology provides a safe, simple and convenient payment option that customers want, helping businesses and communities alike build stronger financial futures. More from Master Your Card. Microsoft is the worldwide leader in software, services and solutions that help people and businesses realize their full potential. Microsoft serves millions of small and medium-sized businesses in the U.S., helping them start, grow and thrive by leveraging today’s powerful and affordable technologies. At the pillar of these technologies lies cloud computing, in which Microsoft has more than 15 years of experience. For more information, visit www.microsoftbusinesshub.com. More from Microsoft. Nav helps small business owners improve their financial health and access capital. Over 370,000 business owners use Nav to monitor their personal and business credit scores, build business credit and get cash flow analysis. Its financing marketplace uses machine learning to filter through over 100 financing products, like business loans and credit cards, and instantly match customers to their best options. More from Nav. OnDeck has business financing that is tailored for today’s small businesses, with fast access to capital, a streamlined and efficient application process, and service customers rave about. Since 2007, OnDeck has delivered billions of dollars to customers in more than 700 different industries across the United States, Canada, and Australia. The company has an A+ rating with the Better Business Bureau and operates the website BusinessLoans.com which provides credit education and information about small business financing. Learn how OnDeck can help your small business. More from OnDeck. Paychex is committed to providing businesses the freedom to succeed. We do this by offering products and services that help clients do what they do best – run their business. From calculating payroll and filing tax payments to administering retirement plans and workers' compensation, Paychex gives its clients relief from administrative hassles so they can focus on their bottom line. More from Paychex. Rocket Lawyer™ was founded in August of 2008 to make legal services easy and affordable for everyone. With Rocket Lawyer, users can easily create customized legal documents that can be downloaded and shared instantly. Legal plan members have access to free document reviews from local attorneys and receive deeply discounted rates on legal services for more complicated legal needs. Lawyers can access easy online marketing tools and targeted client referrals. More from Rocket Lawyer. Sam's Club is a division of Wal-Mart Stores, Inc. Sam’s Club serves more than 47 million U.S. Members with locations nationwide, as well in Brazil, China and Mexico by offering superior values on quality merchandise and services for small business. Learn more at samsclub.com and www5.samsclub.com/YourBusiness.aspx. More from Sam's Club. The SCORE Foundation is a nonprofit charity dedicated to supporting the SCORE Association. The foundation raises contributions and makes donations to support SCORE mentoring and training. In FY10, the foundation provided more than $900,000 in support to SCORE. SLC Group Holdings is a privately held company with diversified holdings in real estate, investments, marketing, and other business ventures. Twenty-five years ago, SLC Group Holdings founder & CEO Sandy Cleary left her career as an aerospace engineer to follow her passion and start a cruise travel agency in her mother’s basement. She grew that business into one of the largest sellers of cruises in North America with more than $135 million in annual cruise volume all while expanding her empire. Her latest venture, SLC Group Holdings, seeks to partner with passionate business owners and entrepreneurs that need an investment to take their business or product idea to the next level. SPIKE TV is honored to be among such influential companies. We are a national leader in programming that supports small business and entrepreneurship, while simultaneously entertaining the heck out of people. The brand speaks to men’s adventurous side – to work harder, be stronger and to make as much as possible along the way. More from SPIKE TV. 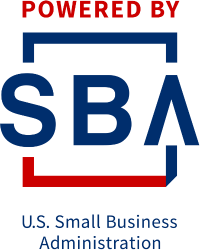 The U.S. Small Business Administration (SBA) provides financial, technical and management assistance to help Americans start, run, and grow their businesses. SCORE is a resource partner with the SBA. The SBA administers a Congressional grant, which provides SCORE with funding. SCORE volunteers work with the SBA to provide small business mentoring and training to entrepreneurs through SBA offices. More from the SBA. Once upon a time, all you needed to run a successful business was a good product and nice storefront. Now, local business owners must handle estimates, invoices, online payments, text notifications, email marketing, social media and much more. Our local business automation software “Thryv,” helps run your business in today’s mobile environment all from the palm of your hand. It will save you time and money so you can get back to what you do best, running your business. More from Thryv. For nearly 30 years, Trend Micro’s unwavering vision has been to make the world safe for exchanging digital information. This single-minded passion has inspired our innovations that keep up with the bad guys despite a changing IT landscape, riskier user behavior, and constantly evolving threats. Trend Micro Initiative for Education includes all of our community outreach efforts working to provide digital safety education and user awareness. More from TrendMicro. Verisign, a global leader in domain names and internet security, enables the world to connect online with reliability and confidence, anytime, anywhere. Verisign ensures the security, stability and resiliency of key internet infrastructure, including the .com and .net top-level domains. Its Security Services include DDoS Protection and Managed DNS. More from Verisign. ComplyRight creates practical products and services to help small businesses complete essential HR and tax reporting tasks in an efficient and legally sound manner. From hiring to firing, to mandatory employee postings, to 1099 and W-2 processing, our solutions are guaranteed to be 100% compliant with federal and state (and in some cases, local) employment laws. Our direct brands include HRdirectapps.com (simple and smart online HR software), PosterTracker.com (complete range of ComplyRight posting solutions), efile4biz.com (online 1099, W-2 and ACA form processing), and HRdirect.com (leading provider of ComplyRight HR products). More from ComplyRight. FranNet assists individuals with the entire franchise process – from franchising an existing business to purchasing or selling a franchise. FranNet is committed to providing continuous marketing, business and operational support so that they may be looked upon as the most knowledgeable, professional and successful franchise consultants in the industry. More from FranNet. The National Football League Players Association (NFLPA) is the union for professional football players in the National Football League. 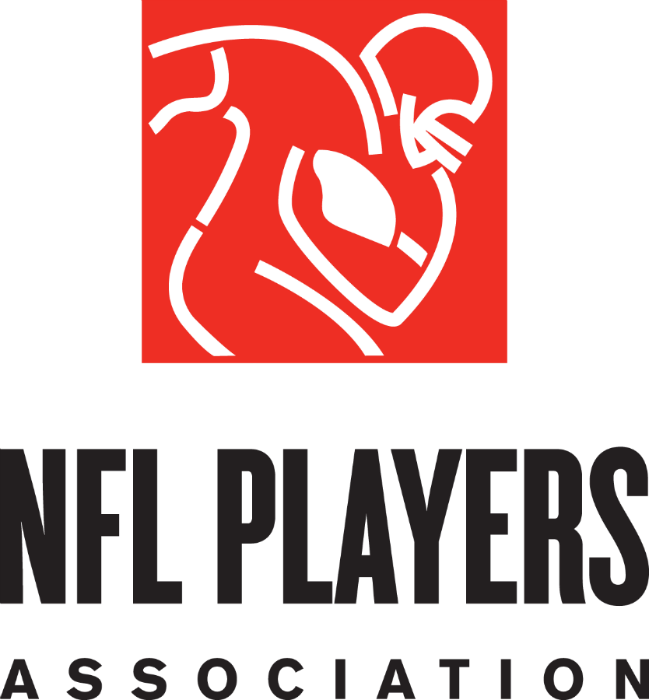 In addition to representing all players in matters concerning wages, hours and working conditions and protects their rights as professional football players, the NFLPA provides assistance to charitable and community organizations and provides other member services and activities. Visit www.nflplayers.com. SCORE is teaming up with AARP to help experienced business owners find ways to use your life experiences, skills, and passions to serve their community. To learn more about how you can serve, visit CreateTheGood.org. AARP’s Create the Good helps people with limited time and wide-ranging interests find more flexible volunteer options. American Dream U - Exclusive to military, veterans & their families. We offer live events, monthly meetups & free online courses. A member of Forbes Coaches Council, Creative Center of America is a business development company that leverages publicity to increase business growth for brands powered by talent and passion. Services include executive coaching, publicity management, strategic brand building, social media, book publishing. Clients are industry experts, writers, artists, companies, causes. Fund Our Self Women Entrepreneurs (FOSWE) is a private membership organization that provides working capital for women entrepreneurs with no credit check, no repayments, or hassles. FOSWE is committed to helping women entrepreneurs with new or existing businesses grow their ventures and find the support they need by offering capital for small, but much-needed start-up expenses such as updating their website, marketing, small inventory, business license fees and all the other small costs involved in running a successful venture. With more than 200 years of expertise, The Hartford is a leader in property and casualty insurance, group benefits and mutual funds. Her Agenda is an award-winning media platform working to bridge the gap between ambition and achievement for millennial women. Our content attracts ambitious women and we give them the tools to become accomplished women. We curate, and create events, workshops, panels and conferences and we publish articles that feature actionable career advice. Her Agenda also publishes exclusive interviews with powerful, successful women who offer honest advice from their career journeys to our readers. For more visit, www.HerAgenda.com. HSN is a leading entertainment and lifestyle retailer, offering a curated assortment of exclusive products and top brand names to its customers. HSN incorporates entertainment, inspiration, personalities and industry experts to provide an entirely unique shopping experience. At HSN, customers find exceptional selections in Health & Beauty, Jewelry, Home/Lifestyle, Fashion/Accessories, and Electronics. HSN broadcasts live to over 90 million households in the US 24/7 and its website - hsn.com features more than 50,000 product videos. Immigrant Business is an online resource created to bring the immigrant business community the tools needed to create success in the U.S. Immigrantbiz.org covers the inspiring success stories, politics and breaking news about immigrants and immigration, and first-hand tips on selling, franchising, winning government contracts, and much more from the most successful immigrant entrepreneurs in the U.S.
International Women's Network is a community of entrepreneurial women around the world empowering each other to start and grow their business by exchanging tools and resources to empower their business. The National Pest Management Association (NPMA), a non-profit organization with more than 6,000 members from around the world, was established in 1933 to support the pest management industry's commitment to the protection of public health, food and property. This commitment is reflected both in the continuing education of pest management professionals and the dissemination of timely information to homeowners and businesses. The National Urban League is a historic civil rights organization focused on economic empowerment for communities of color. Our mission is to enable communities of color to secure economic self-reliance, parity, power and civil rights. We have 94 affiliates in 35 states and the District of Columbia who provide direct services to over 2 million people annually, including: workforce development, health services, education training, and housing counseling. We also have 12 Entrepreneurship Centers located in our affiliates that focus on the 3 C’s of entrepreneurism: capital, contracting and counseling. In addition, the National Urban League is actively involved in drafting and advocating for progressive policies through its Washington Bureau office to ensure local, State and federal policies consider the impact on communities of color. 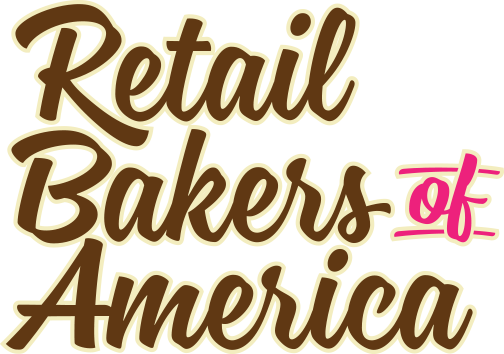 Founded in 1918, the Retail Bakers of America (RBA), a not-for-profit trade association is committed to the success of the retail baking industry. We are a baker’s business partner connecting buyers and sellers to build profitable bakeries. Together with our members, we create industry-specific training programs and develop small business programs. We foster the community of retail bakeries providing a forum for exchange of industry and business information, as well as networking, learning opportunities and mentoring among bakers, future and existing. The Small Business Company provides some of the free online training on the SCORE website. They specialize in web-based content that is used by many small business support organizations across the globe. Support Warrior Project is a 501(c)(3) nonprofit that helps Veterans, Service-Disabled Veterans, Reservists, National Guard and Transitioning Members leap into entrepreneurship by providing business start-up structures throughout the United States. Involving, educating and facilitating are the primary benefits that allow USA-Small Business Association (USA-SBA) members to have an important voice in the laws that govern your business and your world. The consistent effort of USA-SBA is to perform our mission to involve members in the legislation process, educate them by keeping them informed and implement a system to facility participation in the national legislative process that directly impacts your business. USA-SBA is your voice in Washington. Lobbying for a better small business environment is what we are all about. Helping change the tax codes so small business can grow and prosper. Hiring more workers keeps the USA a viable and healthy place to start and run a business. The U.S. Department of Agriculture (USDA) is made up of 29 agencies and offices with nearly 100,000 employees who serve the American people at more than 4,500 locations across the country and abroad. They provide leadership on food, agriculture, natural resources, rural development, nutrition, and related issues based on public policy, the best available science, and effective management. Walker’s Legacy is a digital and technology company building the largest platform for the professional and entrepreneurial multicultural woman. We exist to inspire, equip, and engage through thought-provoking content, educational programming, and a global community. We work with brands, organizations and content creators to help them expand their reach by authentically connecting with our audience of millennial professional women of color. Our work is designed to empower women to advance their entrepreneurial and career ambitions by filling the unmet need for positive examples and lessons and techniques on how to be boss. Our blueprint for success: Madam C. J. Walker. werc space, a Women’s Funding Network initiative, is a free online platform that offers curated resources, tools, community and opportunities for women who want to start or grow a business. The website was designed with a feminist lens and is for women who may experience barriers to business ownership due to their gender, race, and/or financial situation. AllBusiness is an online media and e-commerce company that provides SCORE with valuable articles and resources. AllBusiness.com helps entrepreneurs, small and growing businesses provides how to info online. Huffington Post Small Business features prominent links to the SCORE web site. In addition, SCORE is a featured content provider with numerous articles and 60-second small business guides on the Huffington Post Small Business site. Huffington Post Small Business offers information, resources and links on starting and running a small business. BizBest.com delivers independent, non-commercial ideas, trends, tactics and resources for business owners, executives and startup entrepreneurs. It offers insider access to the most promising new or overlooked technologies, services and solutions, as well as practical ideas, “how-to” advice and cutting edge expertise from all corners of the business and digital media universe. Biz Talk With Josh Smith on CBS radio is the only weekly show that focuses on entrepreneurs, small, minority, women, and veteran-owned businesses, and the critical issues, concerns and developments which impact these groups. Entrepreneur Magazine and Entrepreneur.com feature the latest developments in technology, money, management and marketing, highlighting products, services and strategies to help run better businesses. Entrepreneur is SCORE's magazine, media partner. Free Enterprise, a U.S. Chamber of Commerce digital platform, is your home for free market news and ideas. Features include opinion pieces from entrepreneurs, business leaders, and policy shapers; social media features so you can engage, debate, and activate; trending stories that delve into the issues facing the state of business today; and newsmaker interviews that take you inside the minds of successful leaders and decision makers. The Inc. 500|5000 award is one of the most prestigious entrepreneurial awards in American business. It ranks the 5,000 fastest-growing companies based on revenue growth over a three-year period, from 2005 to 2008. SCORE clients have made it to the Inc. 500 list, including Metier Software. Latin Business Today is a web publication which enables growth for Hispanic business owners and entrepreneurs in today’s economy through its mentors, business listings, features on success small business, and thought leader profiles. They also feature webinars, tips and recommendations on finance, law, IT, innovation, trends, strategy, marketing and work/life balance. Their mission is: Inform, Inspire, Mentor & Empower. Learn more at www.LatinBusinessToday.com. Next Avenue is a new public television online destination aimed at Americans 50+ who want to maintain vibrant lives and who have significant interest in a wide variety of issues. The site publishes original articles and blogs daily on everything from work and relationships after 50 to culinary explorations and caregiving for aging parents. In addition to its original content, Next Avenue editors curate information from more than 27 content partners. SmallBizDaily is powered by Rieva Lesonsky, Maria Valdez Haubrich and Karen Axelton. They met at Entrepreneur Magazine more than 25 years ago, when Rieva hired Karen and Maria as editors. When Rieva decided it was time to stop talking about entrepreneurship and start living it, she turned to her team to be her partners. SmallBizDaily's owners combine their decades of experience covering entrepreneurs with their more than 5 years of business ownership to share their unique perspective on the world of small business. SmallBizTechnology.com educates small business owners in how to use technology as a tool to grow their business. Through events, online content, books, presentations and more, thousands of small businesses have learned how to technology to save time, save money, get more customers, increase profits, and boost productivity in their businesses. Smallbiztechnology.com is honored to partner with SCORE! Small Business School is a weekly, half-hour television show that began in 1994 on PBS-member stations in the United States. In 1995 it began airing on IBB Voice of America TV (VOA) around the world, then on cable stations worldwide. Entrepreneur and host Hattie Bryant's blog provides small business information and daily video tips. TheSelfEmployed.com - Getting helpful information when you’re running your own show can really put your business on the right track. Small business expert Steve Strauss’s website, TheSelfEmployed.com, provides you with the tools you need to make informed decisions on taxes, technology, insurance and more. Strauss writes for USATODAY.com, has authored 15 books and has been featured on a number of high-profile business shows including MSNBC, CNN and CNBC. The Street.com, Inc. is a leading digital financial media company. We provide our readers content and tools through a range of online platforms, including web sites, mobile devices, email services, widgets, blogs, podcasts and online video channels on reliable and actionable investing ideas, news and analysis, financial data and analytical tools. The Veterans Corporation and SCORE work together to provide resources and business mentoring to Veteran business owners. The Veterans Corporation features Ask SCORE for business mentoring on its website. Veterans Business Network is an organization with two primary goals: to develop the largest veteran-owned business database in the country and assist with transitioning veterans from military to civilian life. With their tools, connections, and a strong network forged on the web and in-person at live VBN meet-ups, veterans are made stronger and have more opportunities, all with a free VBN membership. The Wall Street Journal operates WSJ.com/SmallBusiness, an information and resource site for entrepreneurs and business owners. This section of the site provides business columns, how-to articles and links to SCORE mentoring. In addition, it provides business plan tools, blogs and podcasts, a trademark search option, as well as information on business opportunities and franchises.